With a population of over 89,000 and busy traffic, moving in or out of Beaverton can be a challenge. Rely on movers in Beaverton who have been relocating families and businesses in the area for 88 years! Irvington Transfer & Storage (ITS) Global Relocation Services, agent of Bekins Van Lines has been in business since 1926 and has served thousands of satisfied customers along the way. For our commitment to the highest quality service, ITS Global has become a BBB-accredited business and a ProMover member of the American Moving & Storage Association (AMSA). We'll strive to exceed your expectations every step of the way. Our Beaverton movers can offer you a wide variety of custom services. 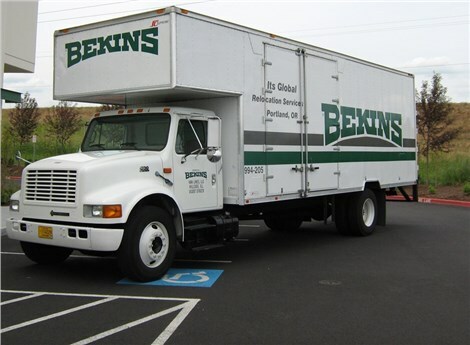 Whether your relocation is local or long distance in scope, ITS Global has the resources necessary through Bekins to accommodate any moving request. We can move any size of household and provide a variety of commercial and specialized services, including electronics moving, and trade shows. Read on to learn more about our premium services. Residential Movers: Regardless of the size and scope of your household move, we can handle all of your relocation needs. 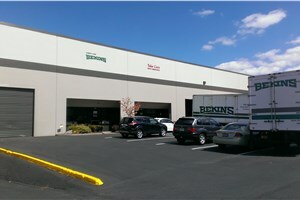 Local Movers: Local moving services in Beaverton from ITS Global relocation, an Agent of Bekins. Commercial Movers: Our office movers will minimize your downtime, and can disassemble and reassemble your computers and modular furniture flawlessly. International Movers: As a Bekins agent, ITS Global has the comprehensive resources necessary to move you overseas. Storage: We offer short-and long-term storage in our secure 20,000 square-foot facility. Specialized Moving: The experts at ITS Global can move heavy industrial machinery and delicate electronics alike. Don't delay any longer â€“ contact ITS Global today to begin your simplest move ever! Call now to speak with a moving specialist, or fill out our online quote form to receive a free estimate.